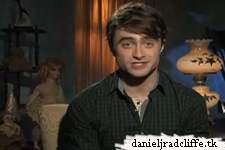 There is another video released via the official The Woman in Black Facebook page, where Daniel asks you another question about the trailer like before. Want to see the trailer again? click here. Can anyone tell me what it says on the bedroom wall when my character rips away the wallpaper?